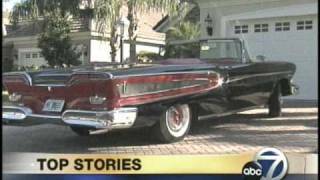 Kirk Swiatek shows off his unrestored 1958 Edsel Villager wagon. 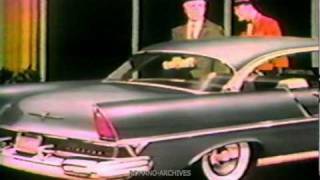 1958 was the first year for the wagon and Kirk highlights some of the unique features found on the car, including the boomerang taillights, horse collar grille and Teletouch pushbutton transmission. Music Provided by Lil Red and "The Howlin' Wolves"
Those taillights kinda keep you guessing which way that thing is going to turn. Those taillights were a safety hazard. The jury is still out on the "horse-collar" grill. How wonderful! Do you still own it? I would die, if I saw this in my lane! For a car that is over 100 years old it runs pretty good. 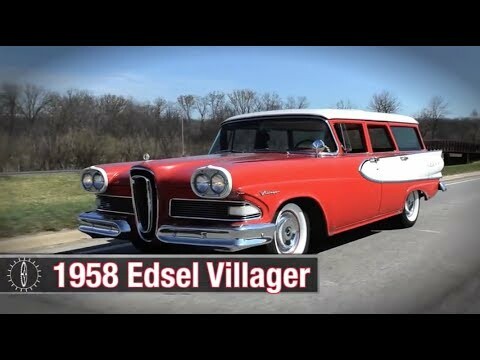 what's an Edsel Villager worth nowadays? Like with any vehicle. It all depends on the condition. Dodge had a push button PRNDL later. 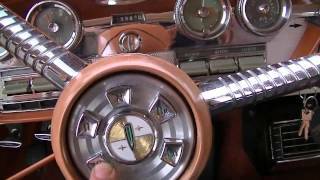 I have a 58 Pacer sedan, and looking at the front of the car, I feel like the headlamp surrounds would look better if they were chromed. 57 Chevy's had chrome headlamp rings as does mine, and I think the white paint on this cars headlamp surrounds works a lot better than having them the same color as the body, Red (or blue as the case with my car). 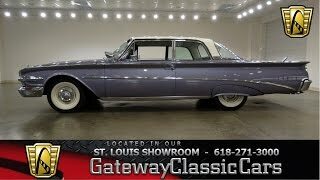 I like the 58 design, but I always felt the front of the car was kinda sparse on the trim, even with the horse collar grill which stands out. Just having white on the headlamp surrounds adds a little bit more flare to the car's original design. I don't like resto modes too much, but I will let some things slide. 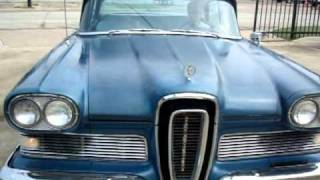 Yes, Donna Reed drove a 1958 Edsel Bermuda, which was top of the line wagon for Edsel. I'm curious why the headlight surrounds don't match the rest of the body. They are supposed to! Nice looking Villager, though! 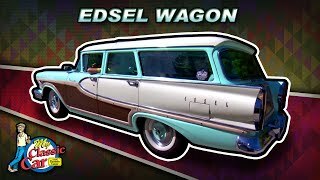 Hermoso video de una rarísima Edsel Villager Wagon ¡ sin fuera por estos videos, desde Argentina sería imposible admirar los hermosos Edsel de fines de los ´50 ¡ gracias ! Donna Reed drove on on the first year of her show. 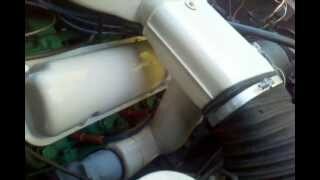 When you get it painted, don't forget to correct the headlight surrounds. Sweet looking car. 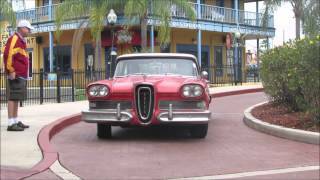 I've always liked the 1958 and 59 Edsel. 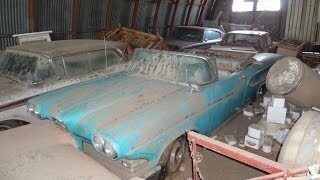 I particularly like cars that are original, unrestored, unmolested, well maintained. 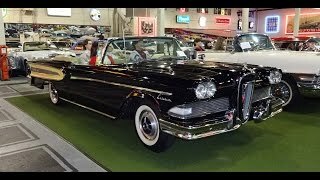 I think the Edsel Series Cars were spectacular , if not a bit ahead of their time. 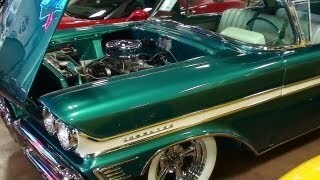 From the older lines of Ford Automobiles, The Edsels were my favories. . I have an uncle who buried an 1959 Villager Wagon probably 20 years ago.. What an idiot he was. 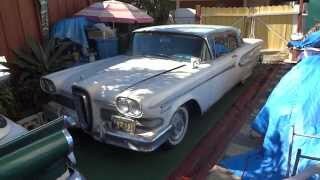 I wanted that car so bad. .
My hat is off to Edsel lovers. and those that keep em on the roads !! any recommendations on reworking the TeleTouch? I want mine to work again. i have a floor shifter. 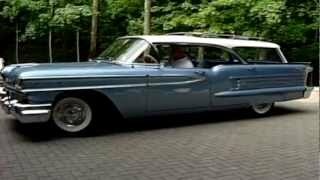 My dad had a '58 Edsel Bermuda station wagon. Salmon pink with fake wood side panels. 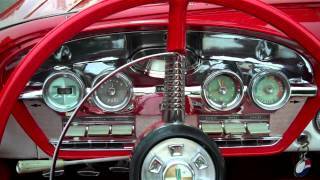 The floating speedometer and the steering-wheel shift buttons had quit working by the time I started learning to drive it in about '63. Dad installed a floor shifter. We just guessed at the speed. Thanks for the memories. All original? 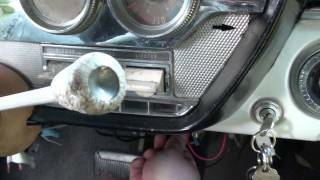 I see a fairly modern power brake booster with a dual master cylinder. Do not think that is original. From 94 to 09 I had a Ranger sedan in the UK, and like he said, it had been converted to floor shift. Great driving car though. great car brings back memories. my dad bought a new bermuda 9 passenger in sept 57. it was a head turner even back then. keep the teletouch shaft cleaned and lubed and the shift motor shielded from heat and it will serve you well. good luck and have fun with it! 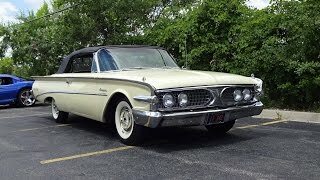 You have a very rare Edsel wagon there ,and I can appreciate you keeping it completely bone stock. 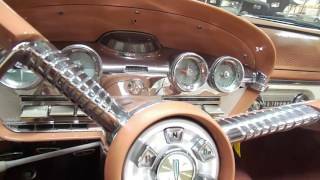 1958 Edsel Bermuda Wagon- Sold!